At this moment, I am listening to a BBCNewshour report by Ian Pannell of a Syrian government attack on a school. The audio is so amazingly, brutally, chillingly explicit that it far surpasses anything video could ever present. I just listened to Jimmy Fallon’s interview with Terry Gross. I heard it the first time back in 2011, and it was a pleasure to listen to it again for what I missed the first time. The main thing I got from it, besides the fact that Fallon’s impressions are really good, is that he comes across as sincere. There was just something in the way he talked; kind of excited, kind of geeky, that just made me think. “This guy is being who he really is right now.” And Terry Gross was just as enamored with him. 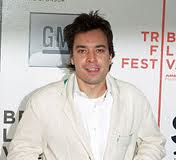 I listen to Terry Gross a lot, and I haven’t heard her that happy to talk with someone since she interviewed stars from “The Wire.” But, getting back to about being sincere, Jimmy Fallon said as much. He said something like if you come across insincere, it’ll show, people will know. He’s so right. People want sincerity. There is lots of it in the world, but it’s out of sight. It’s around the corner from the hucksters and the sociopaths; the loud mouths and the control freaks. Sincerity is there, speaking at the same volume it always has, and people are hungry for it. Interviewing is a constant struggle between being your true self and holding back a little because you tell yourself, you’ve got to maintain that level of “professionalism” when really, you aren’t sure if you want people to know you THAT well. He said he had never done interviewing before he started doing interviews on his show. To me, that says sincerity is what lifted him up. His creativity and the willingness of people to take a risk on something they see in him was all based on how clearly they could see it. When I talk to people, I sometimes edit out my stumbles, but listening to Fallon, I wonder if I should leave more of them in. I don’t know. Listening to him be honest with me was what I aspire to be and do. Ending an interview is and isn’t like ending a conversation. It is like ending a conversation in that you are concluding an interaction you’ve been having with someone. And as such, there are certain social conventions you follow and social subtleties you have to be aware of. For example, when you’ve exhausted the subject and you both know it, you don’t grapple for something to continue it; you know it’s done. There is a certain grace to knowing that. But ending an interview isn’t like a conversation in that, and I’ve said this before, since you probably don’t know the person you’ve been talking with either personally or professionally, trying to make a personal connection beyond the professional conversation is a no-no. Expressing any kind of longing for more, unless they’ve made the offer, is usually considered to be inappropriate. Of course, some interviewees might like certain interviewers more than others and be open to an invitation. But that can be professionally touchy, and interviewers need to be cognizant of the fuzzy lines. Also, an interview is a professional interaction. You both are there for a reason, probably using expensive time and tools in the process, to an end that meets the needs of both parties. A simple, polite, elegant goodbye tells the interviewee you know what you’re doing, and it makes it easier for you to edit the convo after it’s over. Besides that, a cleanly ended interview that’s not dragged out is clean for your listener too. They come to appreciate the fact that when it’s done, it’s done. They see you as a closer who can crisply do what needs to be done and moves on. As in all cases, saying goodbye demands a degree of panache. Singer, songwriter and producer Richard Marx has been a hitmaker since the 80s. In this conversation with Don Merrill, Marx talks about his feelings for technologies like Garageband and Soundcloud, his love – hate relationship with social media and his special collaboration with Luther Vandross that led to the creation of one of the best songs a man could ever know. I really like Soundcloud. But I’ve noticed that the same number of people who aren’t following me is about the same number of people who don’t have any tracks. To be fair, there are a few people who follow me who don’t have tracks, but I know these people personally. They are friends, or I have talked with them by email or through the SC messaging function. So I know they are legit. But people with 0 tracks are suspect. 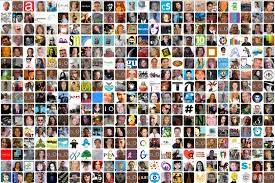 And, although you don’t necessarily need to have a profile photo, accounts without profile photos say to me that they might be scammers that don’t care about being part of the community, only getting followers. Finally, if your handle doesn’t match your personal information, like, for instance, if your handle is John-John, but your personal information says your name is Carol, and the profile photo you do have is of a carburetor, that’s suspicious. Zero tracks but 1307 followers? That’s suspicious too. And BTW, a picture of your ba-donk-a-donk isn’t going to keep you in my follower list. Just like anything that involves people, there are perpetrators. I have a high degree of respect for people who create and share what they create. The thing is, creating a track is work. Soundcloud is a workplace. And as in any workplace, you don’t want to be dragging the deadweight of people who don’t take what they do to heart. I know there are probably people who like my interviews and follow me but don’t have any tracks. I want to apologize to you folks if I unfollow you. There is just no way for me to know who listens and who doesn’t since most people who listen don’t comment, and Soundcloud only gives aggregate numbers, not specifics. If you do listen, let me know. And give me the chance to see what you love to do too. Unfollowing people, the advisors say, is always risky for the reasons I’ve just explained. You could lose good followers in an effort to do housekeeping. If that’s true, guess I’m about to find out how many. I’m starting to think that interviews fall into one of five categories; the great, the good, the OK, the questionable and the bad. The great is when everything goes well AND the conversation is one that neither person wants to end. The interviewee says “Great Question” a couple times. No technical problems, great answers … an interviewer’s Nirvana. The good is you might have one or two small problems and you are prepared to quickly deal with them without breaking stride. Meanwhile the other person is good natured, engaged and generous with their time. The OK is where you have a few unexpected hitches that come up during the course of the interview and but you fix them with very little distraction and with the patience and forgiveness by the guest. You pull it out of a possible fire. Or you have an interviewee that is somewhat engaged and knows they are doing the interview to promote something. They are pleasant and you come away patting yourself on the back a little. The questionable is when you have technical problems you are dealing with during the interview that won’t go away, or you run out of research time and aren’t satisfied with your list of questions. Also, in this category might be an interviewee who doesn’t really want to talk, but is committed to because somebody else set the interview up, or because they really need ALL of the publicity they can get, even if they’re not necessarily excited about it. It’s in this interview where personalities might not click and you’re not sure, but you wonder if you’re periodically being insulted by an interviewee that would really rather be doing something else. An interviewer recognizes a great interview to be a conversation with someone who is knowledgeable, passionate and unapologetic. Look at this triad as how any two can produce a predictable third reaction. Knowledgeable and passionate makes credible and interesting. Passionate and unapologetic makes explosive. Knowledgeable and unapologetic makes arrogant. These recipes create a conversation a listener listens to to learn something from; or to hear a fist fight or to gasp with shock. For an interview, these can all be good things. But, sometimes, the interviewer has to use some judgment. It is often said across many disciplines that just because something can be done doesn’t mean it always should be done. That is especially true with people who are self professed in their knowledge, unapologeticness and passionate. Sometimes, someone may say something, or a series of things that leads you, as an interviewer to truly believe they may not know that of which they speak. To be more specific, they may know their craft or their skill or their profession, but they may not fully understand the atmosphere in which they voice their opinion about it. I did an interview with a very knowledgeable, passionate and unapologetic employee that I edited more heavily than I thought I would because he said some stuff that, although spoken with what I believe was full sincerity, probably doesn’t need to see the light of day. None of it was illegal or socially unacceptable or inaccurate. But it was, I thought, on the borderline of other things. I’ve held a few jobs in my life, and I know that many employers takes a dim view of things it perceives to be poorly said and publicly shared. And being that I’ve spent my life listening to, taking down, chopping up and regurgitating things said by others to larger audiences, I’ve developed a radar for when someone may be taking aim at their own feet. Is it my responsibility to weed through how they might do damage to themselves? I think so but I choose to call it empathy. Given the choice to not distribute an interview and distribute one with some parts cut out, I’ll choose the second one every time. That’s because I can leave what I think is obvious context for the listener and enough extra for them to fill in the blanks without drawing them a picture. But my job isn’t to provide the listener with a seat from which to watch the interviewee march up a ramp to jump to their professional death. Journalism has this edict that whatever a person says into a microphone is their responsibility, and that is true to an extent. A bigot, sexist, a fascist, a corrupt financier or politician; yes, each and every word needs sunlight. But sometimes you know what someone meant because you’re human just like them and you want to give them the benefit of the doubt, so you do. No journalist will ever admit this because it isn’t the lockstep android like behavior people with pencils are supposed to exhibit. We are supposed to tell it all, tell it now and let the people we talk to fare for themselves in the arena. But what about people who have good hearts, or are excited to promote their work, or have no patience for ignorance or bureaucracy, but don’t know when to stop talking? This guy was funny and loves, and I mean LOVES what he does. And I’m sure he gives these opinions to every one of the thousands of people he encounters every year. Or maybe not. Maybe I asked the questions that stirred up the answers he never gets to share but deeply feels. Either way, it’s called editing for a reason. And you just have to trust me because the stuff you don’t hear is on the cutting room floor, and that’s where it’s going to stay.